My new shoes came yesterday! Can’t wait for the first HOME GAME! I’m glad I ordered them when I did–I think they are sold out already! They can’t possibly lose if I wear these! At least these are comfortable! 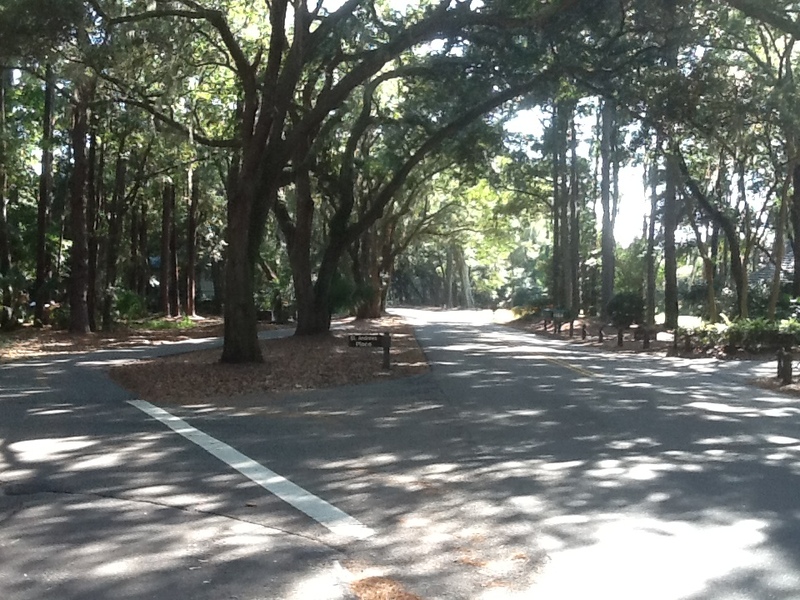 The past week I had the opportunity to go running on Hilton Head Island, in the Sea Pines area mainly. The weather was fantastic, although perhaps a bit more humid than one would choose for running. After the winter we had in central PA, I will not complain about heat or humidity! 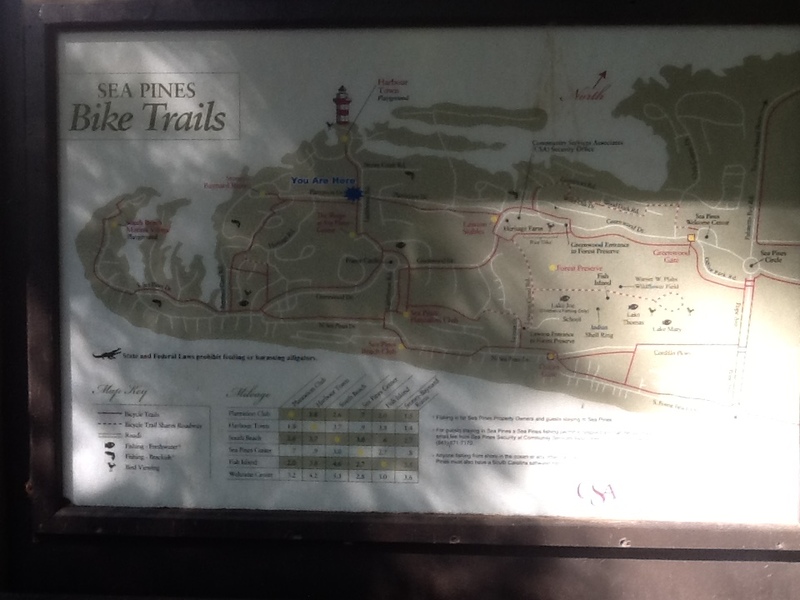 The Sea Pines Resort area had an elaborate maze of biking/running trails that wound along the roadway system and golf courses. This made running really enjoyable until . . . .
ARE YOU KIDDING ME? 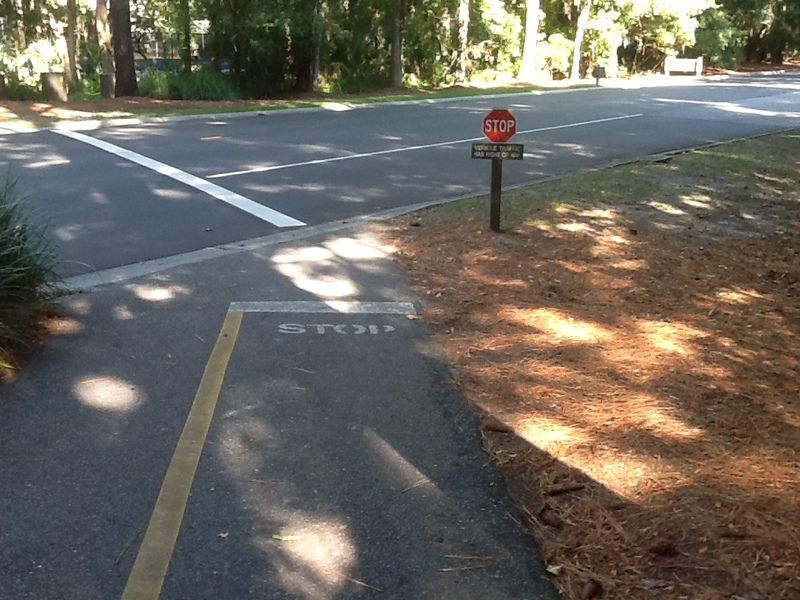 A STOP sign for pedestrians? Well! Isn’t that special?! Let’s give the benefit of the doubt and the right of way to the two ton death machine instead of the helpless pedestrian or biker. Who came up with this idea? As if that wasn’t bad enough, there were still thoughtful drivers who would come to a stop to allow bikes, runners and walkers to pass. The problem was, the cars behind said Good Samaritan weren’t always ready to stop–they weren’t expecting it, especially if they were local and used to this cockamamie hierarchy of right-of-way privileges. Worse yet, one lane of traffic would stop, which they didn’t have to, but the other lane wouldn’t. This was problematic when a small child on a bike started forward because the nearest lane stopped, not realizing the other lane wasn’t stopping. I saw this happen numerous times. I have to be honest. 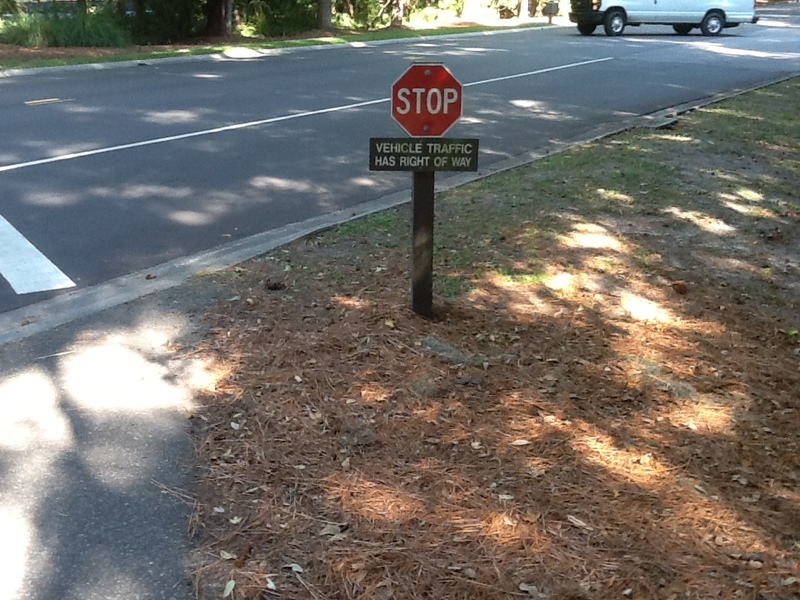 I ran many of these STOP signs. Literally. Forgive me Father, for I have sinned. A Hilton Head cop finally pulled me over. “But I slowed down, ” I protested. He then pulled out his nightstick and started beating me.